Tonga's prime minister has accused Chinese businesses of going years without paying any tax. 'Akilisi Pohiva offered no evidence for the claims made at a news conference on Friday afternoon. 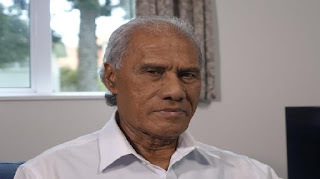 Matangi Tonga said Mr Pohiva gathered the media by a swamp on the Nuku'alofa waterfront, where he told them he had nothing in particular he wanted to talk about. He then went on to discuss the swamp area - an historic site and former landfill - and how he's ordered canals to be dug to beautify the area. Mr Pohiva said he was managing the project himself, and there was no working committee or written plans. Mr Pohiva then claimed the Chinese would be running the country in a few years. For this, he blamed the low productivity of Tonga's public servants, who he said worked at nowhere near the rate of Chinese workers. He then claimed that after meeting with members of the Chinese community, he learned that Chinese businesses have not been paying tax.